Guy: This week we welcome to the show Diane Sanfilippo. She is the owner and founder of Balanced Bites, a certified Nutrition Consultant, and two-time New York Times bestselling author of Practical Paleo,The 21-Day Sugar Detox and co-author of Mediterranean Paleo Cooking. Diane holds a B.S. from Syracuse University and is certified in holistic nutrition from Bauman College, holistic lifestyle coaching from the CHEK Institute, and Poliquin BioSignature Modulation. She writes for her popular health blog – balancedbites and is co-host of the top-rated weekly health podcast, “The Balanced Bites Podcast,” available free from iTunes. On September 6th, 2016, Diane will release an updated and expanded 2nd edition of her runaway hit Practical Paleo which has sold over half a million copies and spent a total of 97 weeks on the New York Times bestsellers list. Diane lives in San Francisco with her husband, Scott, and two fur kids. What does paleo mean to you? Have your views regarding paleo changed at all since your book ‘Practical Paleo’ came out in 2012? Why do so many people struggle to make long-lasting change when it comes to health and good eating habits? How do we create healthy eating habits when our families are not onboard with the changes or have heard negative press regarding the paleo diet? You’re a busy entrepreneur, how do you handle stress? Hey. This is Guy Lawrence of 180 Nutrition. Of course, welcome to this week’s episode of the health sessions where we cut through the confusion by connecting with leading global health and wellness experts to share the best and the latest science and thinking, empowering people to turn their health and lives around. 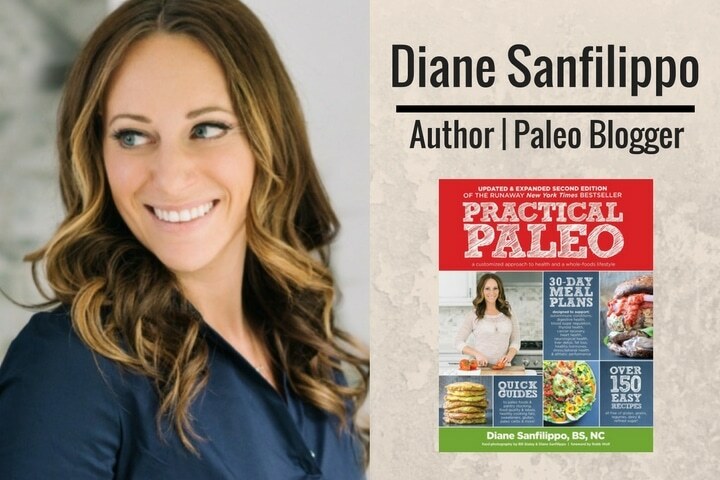 This week, we are doing it with Diana Sanfilippo, who is the best-selling author of this book that I actually happen to have with me, Practical Paleo. Now, this has been dubbed the Paleo Bible by readers everywhere. It came out, I think in 2012 and spent many many weeks on the New York Times’ Bestseller’s list. I think she has sold over 500,000 copies, which is pretty impressive. [00:01:00] If you’re not familiar with Diane, she is owner, founder of Balanced Bites. She is also a certified nutrition consultant and of course the New York Times’ Bestselling Author. She got an impressive resume. It was awesome to have her on the show today. We literally dive into the topics of what does it mean to leave a practical paleo life, how she implements it in her lifestyle and what she has learned since the book has first come out. We get into, she is now releasing a revised edition of the book very soon by the time you’re hearing this podcast. Also, why revise a book as opposed to writing a new one as well. I guess the four years in between, if any reveres a change. We’re getting into all sorts of topics including stress management, her exercise routines and all sorts. It was great. It was awesome to have her on the show. She is definitely a wealth of information and certainly making people think about the way they eat, which is what we are all for. Now, if you are listening to this on iTunes, if you could leave us a review, that would be fantastic. It just helps to spread the word. We want to get people listening to this for free, the reviews help us internationally as well. 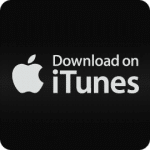 [00:02:00] By subscribing in it as well, put five stars, so if you are enjoying these podcasts and consuming on a regular basis, a, it would be great to hear from you. Let us know. Also of course, help others find this podcast too. Yeah, we just love getting it out there. Anyway, let’s go over to the show and over to Diane. Enjoy. Hi, this is Guy Lawrence. I’m joined with Stu Cook as always. Hi Stu. Our lovely guest today is Diane Sanfilippo. Diane, welcome to the show. [00:03:00] I hope I got the surname correct. Now, before I get into the questions and start hitting you, I have to say, I’ve got your book here. My fiancee absolutely pulls this apart and loves it. I know she is very excited to know that you’re being interviewed today. That’s awesome, mate. It’s incredibly. Now, before we get into the book and everything else that you do, the first question I like to ask everyone on the show is if you were, say, at a bus stop and you were stopped by a complete stranger on the street and asked you what you did for a living, what would you say? I always struggle with that question because I often don’t know how to describe what I do. Typically, these days, I say I’m an author. I write health and nutrition cookbooks, some thing to that effect. It often depends on who is asking and what they might understand. If they’re someone much older who wouldn’t really get the whole online Internet-based business, programs and all of that. Typically, I do say I’m an author and I write nutrition-based cookbooks because that’s the bulk of it at this point, I suppose. Yeah, well, that’s interesting. Nearly every guest we have on the show, I ask them that question now. They all struggle with the same concept because there is so many things going on. [00:04:00] I don’t really consider myself a blogger because frankly, I don’t really blog. While I have this website blog as a hub where people can find a lot of information about me, most of the activity that I have online tends to be much more based around social media, I have a podcast every week, as you guys know. I’m doing live videos. It’s really hard to say I’m a blogger because I think when people ask what you do, they want to know how do you earn money. I think what’s your career and what can I understand. They’re not really asking what you do. They want to just know what’s the gist of it. Yeah, that’s where I go. Yeah. Perfect. Perfect. The other question we always kickoff for the show as well is just to give a bit depths so that people who might be hearing you for the first time, take us on a little journey before the book came out, so your background a little bit and what led you to where you are today. [00:05:00] Okay. I have a long story but I’ll give you the shortened version of it starting with fairly immediately before I wrote Practical Paleo. That’s the thing that most people … Tons of people have that book and I think a huge percentage of people who have the book have no idea who I am or that I’m author of it. If I look at the people who know me and my little social media world is actually a much broader number of folks who have the book. I find that really fascinating. Before I wrote Practical Paleo, I learned about nutrition. I learned about holistic nutrition. I didn’t learn about paleo and then start teaching and writing about paleo. I learned about nutrition from a holistic perspective, whole body, clinical perspective which you can see in practical paleo in the meal plans. I talk about different health conditions and what’s working with clients one on one for I don’t even know how long. [00:06:00] Just a couple of years, I didn’t work with clients one on one for too long because it wasn’t where I was best serving people. I studied holistic nutrition. Often, I joke that I’ve had 100 different lives and I’m actually 100 years old because I’ve had different careers. I didn’t just study nutrition and then boom, I have a business and it’s amazing. I studied business in undergraduate and marketing. I majored in marketing. I studied consumers studies and I worked in retail as a young teenager and young adult. I worked in retail all of my life. This connection between customers and information and solving problems has always been part of my fiber. I love to show people to a solution to their problem or educate them on something that will help them, that will empower them to solve their own problems. That’s really where my passion lies. I came through holistic nutrition school. [00:07:00] It was a two-year program. About I would say halfway through the first year of that program, I started cross fitting. I went to [ruble-som 00:06:56]. That was really … I have this idea in my head that shouldn’t we eat like our ancestors. I was thinking more what did my grandparents eat, my dad’s family being from Italy, my mom’s family being from Germany. I was thinking, what did they eat in their respective countries before they came here? I wasn’t thinking all the way back to paleo, what did all of our ancestors eat. [00:08:00] When I learned about paleo, just clicked for me, the light bulb went on. I said, “This makes sense. This is what human nutrition should be.” The evolutionary perspective obviously really hit home with me. We talk about what animals in a zoo would eat. Their fed their natural diet. They’re not fed the cereal equivalent of that. They actually raw meat. The big cats are fed raw meat. That’s tedious. Humans, we’ve just come so far from that. That was really a turning point for me. In my holistic nutrition studies, I focused more on teaching about paleo nutrition. By the second year of my two-year program, I was already teaching seminars because I think a lot of people … This is probably a good note for people who do one-on-one coaching, like if that’s a comfort zone for you. If you really like working one on one, that’s great. We need more of those people. If you don’t find one-on-one to be as fulfilling which was for me, it’s more draining. I was never uncomfortable talking to the class about something, speaking in front of 50 or 100 people doesn’t stress me out but working one-on-one is really draining for me. I figured that out really early on. I also figured out that there are a lot of people out there who know a lot less about nutrition than I did, even only a year into school, I knew so much more than so many people. I felt very empowered by that. I didn’t feel like I needed to know everything to start teaching anything which I think holds a lot of people back. They feel like if they don’t know everything, they don’t know anything. I felt like I knew something so I could teach about it. That’s a great point, yeah. I started teaching seminars and connect with Rob Woolfe after going to his, I said, “Is there something that you think we should all be teaching. There are a bunch of folks out there teaching cross fit, teaching at crossfit gyms, nutrition seminars. I was asking him, “Do you think that there is something we should all teach?” He was like, “No. Just do what you think is right.” He was not about to spoon-feed anything. I really respect him for that to this day, still consider him a mentor. I try not to bug him too much, but every now and then. [00:10:00] Basically, followed in his footsteps. The crossfit nutrition certification was no longer and folks in crossfit were really dying for this information, were very curious about it. Coaches wanted their athletes to have better success with training. That obviously comes through better nutrition. For the most part, people are going to hit a wall with their training after a certain amount of time in terms of performance and athleticism, as well as aesthetic goals. They hit a wall if they’re still eating junk. I was teaching seminars for a couple of years around the country. Everyone talks about social media these days, which they’re following. Well, Facebook was the only thing that really existed, Twitter existed. Instagram didn’t exist. I had met of hundreds of people in person in a room for 4 to 8 hours. I knew all of these people that once social media was there, they’re friending me, they’re following me, what have you. They actually know me because we’ve spent time together and I’ve answered their questions and hung out. [00:11:00] That was really the foundation. When I wrote Practical Paleo, it was the culmination of some of what I taught in seminars combined with work from client work from the Holistic Nutrition client work. I know a lot of folks who went to the same program as me. They recognize a bit of what we did in school translated into materials that people can use at large in the meal plans that I created, the 30-day meal plans that are in Practical Paleo. The part that I didn’t tell you guys is that before any of that, I actually had an organic … I told you, I’m a hundred, I had an organic grass-fed gluten free meal delivery business before I went to nutrition school. The thing that got me interested in school was that I have this business and there were two elements to it that pushed me in this other direction. One was that I was not teaching people what I wanted to teach them. I was doing it for them. I would drop these meals off and I’m like, “Okay, that’s great. They’re going to eat that but did they learn anything?” I wasn’t empowering them. Now, I can put that edge to it. I was basically disempowering them by just doing it for them, which I don’t think that that’s very useful. [00:12:00] The other side was as a business person, it’s extremely hard to make money in food. It’s extremely hard to make money when you’re buying very high quality food and applying a process to it. Your time is really valuable. The upcharge is there. Just the markup is not that high. You have to do it at a really high volume. I have tons of respect for folks like … Some of my friends, [the severals 00:12:23] have a company called Pizza Paleo here in the United States. They do all super high end, grass-fed organic local ingredients. They’re doing it at a scale that they can really make it a profitable business. I just didn’t have the ability to take it there. [00:13:00] If you get my core, it wasn’t for me. It wasn’t the right thing for me. It’s good that I stopped myself. Those two things for me took me away from that meal business and down the path of teaching. 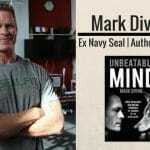 The book was really … It was a culmination of all that information. Honestly, just providing a way to answer the questions that people were asking me all the time in one place. Funny enough, a lot of the meals and recipes that are in the book were from my meal business. This was 2007, 2008, my dad said to me, “You should write down your recipes. Maybe you’ll write a cookbook.” I’m like, “Ha, ha, dad, that’s funny.” [inaudible 00:13:17] one day, however many years later, seven years later, it was the sixth bestselling cook book in the United States in 2014, of all cookbooks, not even Paleo cookbook. It’s not you start this and then immediately that. There is a whole history. It goes back even farther but that was the short story. Wow. That’s amazing. Obviously, that’s your first book. That was my first book. I’m like, what do I now? Yeah. Did you expect the success of it, like that? [00:15:00] Or they leave the doctor’s office with a diagnosis and very little hope. There are very few health conditions at least here in the states, whether or not it’s accurate, where you’re even given any directive on what to eat. I think going back to that idea of empowerment, I think that that becomes very disempowering for people. They are given a diagnosis. The only thing you can do about it is either take a pill or come back and get tested all the time. They don’t feel like there is anything they can do about it. Yeah. That’s not uncommon in this approach. [00:17:00] We see it all the time. I’m sure we’ll get into it a little bit more later. That’s one of the things that I think has come up over the last four or five years in this whole paleo movement is that we went so far with the anti-carb approach that we left our athletes in the dust and feeling like junk because everybody was like, “Well, carbs are the devil. Whole grains are the devil.” The reality is in the context of an overall healthy diet, in a healthy person, eating rice is not unhealthy. It doesn’t cause diabetes. These sweets sare not the cause of disease. It’s everything together and then it becomes removing them helps get the person healthy. [00:18:00] Then we mistakenly tie it to a cause and effect situation. That’s not really the case. It’s not just … It’s not just carbohydrates causing the disease. It’s carbohydrates in a landscape of a lack of nutrition, in a landscape of an inactive person. You can see athletes like Michael Phelps pounding junkie carbohydrates but in that landscape, he is not going to be railed with disease and somebody else might. It’s not even just about activity but anyway, I think there is a lot that goes into it. I think that’s one of the cool things about where these thing. That’s a really good point as well. I think it comes down to our individuality in terms of genetics and ourselves a makeup because I eat a truck-load of carbohydrates compared to Guy but I don’t eat processed carbohydrates, so sweat potatoes, whole heaps of veggies, things like that. I manage really well from that. Just through dramatically reducing my carbohydrates a year ago, just as a self-experiment, I felt like crap, really bad. I had adrenal issues and stuff like that because I was exercising heavily at the time. [00:19:00] It really is dialing in to what works for you. Like you said, making sure that you’re nourishing your body as well at the same time, which is nice. Just in terms of paleo, there are lots of interpretations of paleo these days, from super strict to a little bit cheeky, I’m going to have a little bit of raw dairy here and there. I have might a few snacks and treats. What does paleo mean to you? [00:20:00] For folks who are coming to it and want to learn about what is paleo in the strictest sense, it’s no grains, no dairy, no legumes, no added processed sugars. That’s the basics. In an effort to mimic our ancestors and what they ate, but from there, I think that the most powerful thing that a paleo diet can do for people is create a foundation and a template from which to figure out, like you said, what works for them. What I think happens when people go paleo, it’s shifts your mindset about food. It illuminates the fact that everything you thought you knew about good nutrition is wrong. That’s what we find out. I think I have a whole section in Practical Paleo that’s called that, everything we’ve been taught is wrong. It is that everything we’ve been taught is the opposite of what’s really true and where does that come from. Outside of this whole what did our paleolithic ancestors eat, what I think is the most powerful about paleo is that number one, it challenges your pre-conceived notions. It challenges the status quo of you’ve been told this, it either is or isn’t working, right. For you, perhaps what our standard American diet, always talk about it that way because what the government has said will be healthy. [00:21:00] For some people, it actually works fine but for most, it doesn’t because for most, the way that they interpret it is not raw bulgur that’s soaked and then sprouted and they’re eating that with broccoli and grass-fed beef. For most people, when they’re told to eat healthy whole grains, it’s bread off the shelf that has all kinds of other preservatives and weird junk in it. It’s been sitting there for weeks. The interpretation is totally different. For one thing, we learn that what we’ve been told isn’t true. [00:22:00] The other thing is that, and I don’t know if this is the same across the globe. I just know what’s happening here is that auto-immune disease is rampant. Women especially, men as well, but I know that it seems to be more prevalent in a lot of women. It could just be that that’s the population who I am working with more often. Auto-immune disease is rampant. It’s being diagnosed younger and younger. Women in their 20s being diagnosed with things that we would have waited until 60s and 70s for those diagnoses generations ago. People are becoming chronically ill at young ages. It’s alarming. One of the things that we can do, as I was saying before about having this sense of empowerment with being able to change our food, is that a paleo diet is essentially an elimination diet. It’s strict elimination diet. Holistic nutritionists like myself learning in school about this, whether or not I was going to teach about paleo, I learned about elimination diets. I learned about the power of removing even things like eggs and nuts and seeds and nightshades, which from a paleo perspective, we talk about that as an auto-immune protocol where we eliminate grains, beans, dairy, sugar but also those other foods that can be very healthy for other people but for some people are not. [00:23:00] When I think about paleo, I think about a healing therapeutic template. I think about the shifting the mindset and the paradigm of what we understand to be food, what it looks like for us to go grocery shopping, the way that we look at food. There is a period of time and there is probably some kind of beloved childhood junkie food that you guys had. We had Twinkies. I use it as an example. I don’t know. Do you guys have Twinkies? At some point in your adult life, you realize that Twinkies are not food, right. At some point, you made that distinction that that is not food. I don’t eat that. For a lot of adults here in the states, they never pass that threshold of Twinkies and Ho Hos and Doritos and these other stuff. That’s not food. That’s not what we should be eating as responsible adults. What paleo helps people to see is that that isn’t food, is that when we grocery shop, of course, I still buy things that I don’t … I don’t eat 100% strict paleo. That’s not how I eat today. [00:24:00] There are also sometimes where there might be a treat that’s gluten-free thing or it’s a high quality dairy or whatever it is. The way that I approach that stuff is it’s not being purchased at a gas station. There is whole different mindset that come in when you change your perspective on food. You can’t unlearn this stuff. You can’t unlearn that you should be eating grass-fed beef and vegetables. It’s just a whole different approach. Yeah. I was interested, since the days you had that light bulb moment back when you saw Rob Wolf speak and paleo came onto the horizons. Up into this way, have your views changed at all from when this started to where you’re at now and the way you approach it? [00:25:00] Definitely in the approach, I think early on, I felt much more that there was no reason for us to really need grains at all. I still believe that to a degree, we don’t need them. There is nothing we’re missing by not eating them. I definitely still feel that way. That’s not to mean that I exclude them 100%, I currently have reintroduced some gluten-free grains in small amounts because of the way that I train as an athlete and how I feel, how my digestion feels, how everything feels. Everything that I teach in the book, I want people to have healthy blood sugar regulation. I want them to have healthy digestion. I want them to feel energized. I also want people to be happy with the food that they’re eating. If you’re miserable and you can’t enjoy your food … Of course, when you initially change your diet, you might not enjoy it as much. I think over the long-term, you do need to enjoy what you’re eating. You need to feel happy about it. [00:26:00] My perspective on that really, I would say it’s just broadened or softened about. My perspective on dairy, I think there is a lot of folks who end up drawing the conclusions about dairy. A lot of us did in the very beginning, humans are the only animals that drink the milk of another animal. Therefore, it doesn’t make sense or it seems out of line with nature. I think that humans are the animals that do a lot of things. I think that that line of thinking is … It’s a bit misguided in a sense, if that’s where we’re coming from on the dairy issue. I think that like a lot of other foods, a lot of us have not amazing responses to it. For a lot of folks, we don’t need it. It’s not something that we should have. [00:27:00] To the flip side of that, there is a lot of amazing nutrition in high quality dairy. I think that’s where we also have a really big issue with perhaps some of the research. I don’t know exactly what the research was done on. I’m guessing that some of the research done on dairy years ago was not done on dairy coming from cows raised on 100% pasture or sheep or goat raised on pasture. The nutrition we can get, the fat soluble vitamins, A, D, K too for getting from a certain type of fermented dairy. Those are things that most of us are so deficient in that I don’t want people to remove those foods from their diet if in fact they feel good eating them because I think we’re missing nutrition without it. I think there is probably great evolutionary reason for why we started using milk because we probably didn’t have access to or got away from other foods that were rich in those nutrients. Anyway, there is a lot that can go into that conversation. I do think that it’s important for us in this movement to not create what perhaps some folks in either the vegetarian or vegan movements have created which is a ton of dogma. If you don’t do it this way, you’re wrong. If you don’t do it this way, you can’t be healthy. This is the only way to be healthy. I’ve never really thought that eating strict paleo is the only way to be healthy. Have a 21 day sugar detox program, it has three different levels. The first level includes grains. I do have people use gluten-free grains because I think that a lot of people are probably eating things that are inflammatory for them. [00:28:00] As a holistic nutritionist, as somebody who learned that you don’t have to take somebody from A to Z to have amazing progress and somebody could go halfway down the line and be so much healthier. Not everybody needs to go that far. I don’t think we should be looking at how much we can take away from people. I think, and this is something Mark [Si-stans 00:28:12] said, not this pasture or paleo effects but the one before, it was like, “What can I get away with?” Meaning, where as many foods as possible that I can eat and feel good, be healthy, have good bio-markers, blood markers, all of that and be a happy healthy person. Let’s not exclude things just for the sake of it and then stress ourselves out because of that. Absolutely, yeah. I think paleo as well can be … Especially if you look in the media as well, it could be perceived as this extreme diet. There is a barrier to entry right there. Most people are thinking, “Oh my god, I’m going to give up everything.” They won’t even have that relationship with food in the first place. Yeah, or they think it means all meat. I’m like, actually it looks a lot more like what you probably know of a healthy diet. It’s just the fat thing, for some people. I think people assume that, “Okay, I’m eating the cavemen diet. What did the cavemen eat?” Then when we’re thinking about our genetic heritage, well, what did our grandfathers eat and their grandfathers. We don’t need to go as far back as the cavemen. Guy and myself, we come from northern Europe. We ate more dairy there and we ate more grains and potatoes and things like that. Whereas now, us northerners have embraced the coconut. The coconut is the savior, we have coconut oil, and coconut cream, and coconut flour. Everything that goes with that. I wonder whether we should just start looking at, “Well, what did our culture eat? What have I been raised to eat? What did my parents been raised to eat? How does that effect the way that I feel when I eat?” Because we’re worrying about pulling everything out. Like you said, perhaps, well, what could I get away with? What works for me? [00:30:00] Interesting. The thing that I like about the term, paleo, is that it really just does make you focus on pulling the crap out of your diet. That’s got to be a great thing for everyone. Yeah. When somebody asks for just a basic definition, I say, “It’s really whole nutrient dense foods. We’re avoiding processed refined foods.” I try and keep it right there. Yeah. Next question, why do you think so many people struggle to create long lasting change when it comes to health? [00:31:00] I think what happens is that people try to follow what other people use successfully. For a lot of people, that works. For a lot of people, it doesn’t. There are different types of people who have different ways of forming new habits, who have different settings in terms of supportive spouses or not, family who is willing to get onboard or not. We all have all these different circumstances. We expect there to be a cookie cutter way for us to not only eat initially but then maintain those changes longer term. We even expect it of ourselves when our situation changes. [00:32:00] We expect that it’ll be just as easy. You move to a new state, you have all new surroundings, a new job, whatever it is. You forget that all of that impacts everything that you’re doing. I think that over the longer term, as adults, it’s our responsibility to figure out what works for us individually. I know that I’m one of those people who likes to change a lot of things all at once. I’m not good at small changes. I’m not good at sticking things. I don’t think it’s drastic enough. I need it to be a very obvious, big change. Typically, multiple things at once, I used to joke that I’ll shake the snow globe. When I’m decide I’m ready to just have changes in my life, I just shake that little snow globe and all the snow flakes are up in the water and the air of the water. We’ll see where they land. Then I’ll do it again at some point. That’s something that I know works for me. A lot of people will say, “I can’t believe you’re taking on so many new things at once. Don’t you want to just focus on your nutrition and not worry about your training right now or whatever?” In some cases, that’s true. I’m in the situation where I’m writing and editing and a book. It’s not the best time for me to change my nutrition to a degree that’s challenging or difficult for me. I have to think more about it. When I’m in a place where I do have the time and space to do it, I will change more things at once because that’s what works for me. [00:33:00] I think to create long lasting change over time, we have to consistently get used to the feedback from ourselves, paying attention what’s worked for us in the past. I think we all need to know what’s worked for us in other ways because changing food is really really hard because it affects everyone around you. It affects everyone who is eating in the same house as you. It affects your friends who you go out to eat with. That can be the hardest for that reason is that for some reason, everyone wants to be involved or not be involved. It’s just such a big heated decision. True, the social pressure, right. Talking about social pressure, I’m just thinking, Diane, about trying to being the paleo lifestyle into a family, when you’re the only person that adopts it and the other members of your family think you’re a lunatic. I’ve got three young daughters and a wife and a new kitten. Sometimes, or at least at the start of our journey, my family thought I was lunatic. Now, we’re all happily chugging along. I wonder if you had any tips, tricks and techniques. [00:34:00] I actually should ask you for tips if you have been doing it and it’s been three years. I’m actually scrolling through a sample PDF of Practical Paleo, see if I can find section where I did write some things about this because of all the things that have come up in the last four years, new topics, new discussions or just new directions in the conversation, this is one of the areas where consistently I would say it’s probably one of the top ten questions that we get. Like I said, we have a podcast every week and people are submitting questions all the time. A lot of them focus around very individual issues of health and other types of things. I’m just going to see here if I can find some of the texts. I would just quote myself directly here. [00:36:00] You probably softened to some of the things that three to five years ago, you were seeing and now you’re a little softer on it. I think inevitably being very preachy, you’re digging your own grave there. I don’t like people to paralyze others with paleo perfectionism. I wrote a blog post about it a long time ago, I want people to avoid doing that as much as we want people to be eating organic, grass-fed perfect food. You were saying before, it becomes a limiting factor immediately off the bat where someone will say, “Well, I can’t afford that or I don’t have to access to that.” That’s not really the most important thing. That people make easier on their friends and family. Get them a copy of practical paleo, put it right in their hands. You’re not going to do the work for them. You can’t do it for them but you can get them the book. You can point them to the resources, maybe invite them over for a meal or you cook together. You do something that helps to empower them and enable them. I do have some tips for eating paleo with kids that are based on feedback from parents because I am not a parent. I also have a section now on dealing with unsupportive friends and family. It is more geared towards adults. The unsupportive friends and family, if you’re the parent, and it’s your kids who are “unsupportive” as a parent, you get to buy the food, you get to have the say. Then it’s up to you to be strong and stand up and deal with the … Rob Wolf always calls it the peasant uprising. You get over for people, what people are going to say and then what that actually means because people aren’t saying what they really mean so they’re going to say something like, “I’m concerned about your health. Paleo diets are really unhealthy with all that fat or all that meat.” Then I translate that to what it really means, this way of eating flies in the place of everything I know about good nutrition and I just don’t understand how it can be healthy. That’s what it really means. That’s not how people say. I have few different scenarios that I run through that here is what they’re saying and here is what they mean and giving people some tips for how to deal with that. I think that that will be really helpful for people. [00:38:00] That’s one of the main points that ask people to focus on when they are dealing with unsupportive friends and family is that you just focus on what it’s doing for you, instead of trying to go into this argument or this moral debate about food. Well, I feel better. Remember I used to always have those sinus infections, which that was me, I haven’t had one in a year. Or something like that where you just focus on what it’s doing for you. It’s a much better approach. Yeah. Yeah. The question that I was going to come up that ties into this as well is about navigating the menu when you’re eating out because you can go out and be around a group of people that don’t look at nutrition at the same way. Then you can feel alienated at the same time because everyone else is looking at you, “Here we go again. They’re cutting these things out,” or whatever. What’s your thoughts on that? How do you navigate it? How do you approach circumstances like that? [00:39:00] It depends on the situation. A lot of times, I will be the one to choose a restaurant or let a friend narrow it down to its few options and then I choose or vice versa. I can narrow it down to two or three and let them choose because I pre-qualify these restaurants as places that will be easy to eat at. I also have tons of tips in the first edition of Practical Paleo, they’re there. They’re in the second edition. I’ve made a few additional notes as well but on navigating the menu at a restaurant, best choices, four different types of cuisine, how to ask the right questions at your waiter or waitress. Making that a little bit easier for people in that way as well as what to do at parties and things like that. What I generally do is preview a menu and I look to see if there is at least a few things I can eat. If it says it’s a seasonal menu, then I try to see if it looks like the type of restaurant that’s easily accommodating to what I’ll want to do. Well, you can look at a menu and understand that there is either going to be pasta on the plate or not. You can make a decision that’s easy in that way. What’s hard to know is if there is flour in the sauce or something like that. That’s where the gluten-free thing can actually help you eat paleo because most of the grains, you’re going to see it there. Dairy, you’re going to see it or you can ask them. You can ask a waitress, “Is this sauce made with butter or cream?” If you’re trying to avoid that’s easy. Flour sneaks in. Hidden gluten ingredients can sneak in. That’s why it becomes helpful to have that gluten-free know on the menu. It’s interesting. I’ll just add to that because last week, I flew to Sydney for a workshop. I went there and I know the guy taking the workshop. He had flown into the country. We went out for dinner that night. He was here for literally one night. He’d never had Indian in his home country. He wanted to go in an Indian restaurant. He wanted to shout us to all to a meal. We turned up and he just ordered all this food. I’m looking around and there was all these naan bread, there was all these big rice pallets. This sauce with guarantee you, it had vegetable oil in and sugars. The whole thing. I eat pretty clean. It was like, “You know what, sorry, I’m just going to eat it all.” I did. I had an amazing night. The next day, I didn’t feel great. Then I picked it up and carried on. I want to put that in because social pressure, it just wasn’t worth it but 9 times out of 10, I eat pretty well. It was easy for me to bounce back. For most people, they have their thing that’s a non-negotiable. For some people, if they’re celiac, they can’t eat the naan bread but they can eat the dairy. They can eat the rice. They’ll probably be okay with the vegetable oil, with people have been eating a lot more vegetable oil until they found out that they were eating this much vegetable oil. All of sudden, it’s their issue. Of course, vegetable oil I think is one of the worst things that we can be eating. In that situation, yeah. That’s not going to take you down for a week. If you don’t have celiac disease and it’s something that you’re worried about creating a stink about it, then you figure it out and you navigate. For sure, I think that is definitely one of the things that people figure out more over time. You just get stab into, yeah. I think that most restaurants, you can generally find a protein. They’ll more than likely offer veggies as sides. You can get around that. Just give me the steak but I don’t want the sauce on there or give me a whole heap of veggies. Can I have some olive oil on the side? Things like that. It’s really just that awareness when you get to understand how to truly read the menu as well and to understand where all these nasties lie. I guess every now and again, let’s take a hit. Yeah. I think it depends on the cuisine too. I wouldn’t go out … Going out for Indian food and asking for plain anything, just seems so sad. Enjoy it. Again, if you can’t, if you’re really allergic something or you have really [por-vor-bal 00:43:49] reactions, there are ways to approach that before you get into this situation as well or just try and be a little bit delicate about it, why you’re there, yeah. Yeah. I like it. We noticed that you’ve made an update to a book recently, instead of writing a new book. I wondered why you did that? I toyed with the idea of writing a part two to Practical Paleo. I toyed with it for a long time. I have a lot of reasons for not going that route. One of which was I’m not sure that I really could fill a volume with as much information as I did before. It probably would have been a lot more recipes and I don’t think that my best contribution is simply in recipes. It’s fine that people want to use the book as a cookbook. I think that it’s better for me to contribute in other ways and a more clinical application and all of that. [00:45:00] I wasn’t sure if I had as much to say that would fill a whole second volume. I also, because I’m a business person at heart, I realized that a second volume then appeals to people who own the first volume. The number of people who own the first volume is much smaller than the number of people who don’t own the first volume. If I want a book that’s going to have a very broad appeal, creating a second volume of something that then … Over half a million people have this book. That’s a ton of people but there are still a lot more people who don’t have it out there in the world. [00:46:00] I’m just limiting the number of people who might be interested off the bat. I didn’t really think that that was a good approach for me. I also really felt strongly that Practical Paleo readers have said this to me, from year one, they call it the Paleo Bible, okay. I’m not going to call it that but they call it that. It’s something that we’ve actually said in the new description of the book because that’s what people call it. They’re like, “It’s my Paleo Bible.” What I wanted to do was create a version of it now that’s as relevant and as updated and current and people are as excited to point people to it as they were four years ago, that it still holds that place for people that okay, it addresses the question of, “Why eat rice?” It addresses more about reintroduction. [00:47:00] It addresses more about dealing with family and friends. It addresses three new areas within the meal plans that folks who perhaps don’t have a diagnosed disease are also dealing with. That is adrenal health and stress management. Hormonal health for both men and women and also liberty talk support. Those are things that actually I’ve had lots of questions about in the last four years. I’ve always had a point of view of a way to approach it. I just didn’t cover it in the book originally. Frankly, I really didn’t have space for it. I still didn’t have space for it. We expanded the book 50 pages, that’s 480 pages now. The book that you guys have is 432 pages, another 50 pages which is a ton. I cut about 20 recipes that what I thought were a little bit weaker. I actually ended up cutting a bunch of things like sauces and sides. Expanded the main dishes, the entrees. Added more than 40 recipes but most of them being in the front part of the recipes where it’s full meal recipes. I added a bunch more egg-free breakfast because that was a really big thing that people are asking for. There is not tons of vegetable side dishes in the book because I’m at the point where I just put some fat and salt on it and throw it in the oven. Let’s not go too crazy with that. [00:48:00] Giving people more options for ground meat, things that they’re buying all the time and just need more ideas with what to do with them. I felt very strongly that it’s a better approach for the community to just update and overhaul the book. It’s not a minor update. It’s a significant overhaul. The entire book, people have the current edition. You’ll recognize it, the content, what was there before in terms of most of the front matter is still there in terms of the first third, part one of the book is still there but I’ve expanded upon that. [00:49:00] The overall aesthetic of the book has been changed. Their recipes actually is just a lot bigger. Even in those 480 pages, quite frankly, it’s not really a lot of filler or fluff. I don’t even have chapter dividers in there. I know this is stuff that most people don’t think about but I like to put it out there because this book would easily be probably … So we’re at 480, it would easily be well over 500 pages if we did what most books do, which I wish we could have but we just can’t fit it. Actually put dividers between the recipe chapters. You’re just going to go from one to the next but that adds 20 pages or more. Literally, you flip through the book and it’s very very condensed. One after the other, the chapters don’t even have new sections. It’s like a little headline to tell you you’re in a new chapter because I cut anything that was fluff or taking up space. I just try to pack it all in, have it all be in this one place so people won’t have to get multiple books. It’s just one book. You’ve got it right there. September 6th is the official release date. Yeah. That’s US only or is that global? [00:50:00] It will be everywhere. I’m not sure exactly how the dates work globally. I know Book Depository Online tends to be one of the best places to get our books internationally. Here is my cat. Microphone up, you see a tail. Oh, we see a tail. I have heard that writing a book is quite stressful. Writing a book isn’t great for your health especially when you’re writing a healthy book. What do you do, and this tags into your entrepreneurial lifestyle as well. You’re a busy person. On top of that, you decided to update a book, which again, super stressful. How do you handle stress? What strategies do you implement? Can you share them? [00:51:00] Yeah. This is my fifth time around with this whole process. I’ve learned a lot in that time. One of the things that I started doing last year in the winter and that I’ve maintained throughout this process is exercising first thing in the morning basically, 4 to 9 AM. The first thing, I’ll have some coffee. I’m at the gym. I didn’t do that in the past. What that’s done for me now, it’s affected a lot of different things. Number one, definitely, it supports my sleep. At night, if I’m waking around 6 at night, I’m in bed and asleep before 11, if I’m on that schedule, hopefully even before 10:30. I don’t think I even fully sleep 8 hours. If I’m just given the opportunity to, I think I’m more of a solid 7-hour person. 11 to 6, something like that. Keeping my lifestyle on track has been hugely helped by exercising first thing in the morning, especially when book writing stress is in the mix because what happens, the anxiety and the stress that’s produced all day when you’re working on book edits, it actually feels like you’re working out all day. It does. Yeah. I can imagine. The amount of just physically stress that you’re feeling. I used to work out at 6:00 in the evening. What happens is if you put it off until that time, you then give yourself the opportunity to be too tired. Also, I would hit a point where I was too tired. It wasn’t just that I’m saying I’m too tired. I’m physically exhausted by that hour of the day if I have been working on edits all day and it’s stressful and what have you. Working out first thing in the morning has probably been one of the best things I did. [00:53:00] Also, not … We were talking about carbohydrates a lot, not limiting carbohydrates, not diving into junkie food or any of that but my brain is working hard all day. Some people want to say only fuel your brain with fat and ketones. Some people say the brain is burning glucose. I feel like I need more carbohydrates when my brain is operating like that. I just listen to my body. Those things really help. The other thing that I will say, and this is all covered in the adrenal stress plan in the book, but I was taking some adrenal support supplements probably for several months throughout the writing the book. What I did the first time ever with Practical Paleo, I didn’t start taking that stuff until after the book was done when I realized I had driven myself into the ground. This time, I started taking them. As soon as I started really digging in on the book again. I mean I have been working on this update for over a year. The last six months, I have been the most focused on it. What sort of adrenal support? Are you talking ashwagandha and all the beautiful herbs to nourish the adrenals before you go to sleep. How did you do that? [00:54:00] I had multiple different blends of supplements. One of them is vitamins, minerals, amino acids and adrenal glandular combined, not single individual things but combined into an adrenal complex. I have this stuff. Some of it, I don’t have more of them linked on my website. I don’t really like for people to lean on that or use that as the first line of defense. Because most people don’t even realize it’s happening. If you know you’re dealing with a situation of an acute stressor, I knew what I was getting into, I mean it was a huge support for me. Once you’re already past that point, once you’ve already gone through it, it’s not like it’s too late to do that. Those alone aren’t going to dig you out of a hole of adrenal fatigue. You need to be working with a practitioner. You need to be taking that approach. I was just like, “Let’s try and [had stop 00:54:37].” That was part of it, also adaptogenic herbs whereas another separate supplement, mostly taking those during the day. Then I have some calming supplements, things that had some minerals and different … Also vitamins and amino acids in the evening, as well as some other herbs, passion flower, valerian root, lemon balm, those things in the evening. Living the lifestyle and then also taking the supplements which as much as I can, I walk the talk. I’m not trying to tell people to take the supplements first. You have to put the lifestyle changes into effect because supplements won’t do it for you. I felt like my circadian rhythm helped. It was really great, this whole last six months compared to past times I’ve done this. That just literally that set me up for success in terms of keeping myself healthy. I was in a situation of high stress, it was my fifth day in a row at the gym. I should have taken a rest day. I learned a lesson again. We keep learning and if we don’t learn it, it comes back to teach us. I’m sure your book is going to be a huge success. It’s going to be all worth it ones it comes out, Diane. Yeah. I’m really excited to get it. Just quickly, I know time is getting on a bit. You touched some exercise, you touched some crossfit. What are your philosophies around exercise and how do you apply that on a weekly basis? I think people should do whatever they enjoy and what works for them. There is not just one way to train. I love crossfit. I love it for the community. I love it for the way that people find out that they’re capable of more than they thought they were capable of. That goes back to the whole empowerment thing. The life-changing effect of the community, of seeing that people are there to support you, not to put you down. It’s not everyone out for themselves. Everyone is in it together. I love that about crossfit. I’ve trained at many different crossfit gyms and some are not the best. Most are pretty great and some are amazing. There is that. [00:57:00] I think if people have a bad experience, they should keep trying other gyms because I think eventually you’ll find a good one. Yeah, I do all kinds of training. Currently, I do some strength training. I do some unpatterning training. I have a personal trainer here in San Francisco who is a Czech trainer and does a lot of just ido portal type stuff, just movement patterns that are non-linear to get me out of the patterns that I’ve trained for the last five years. I think that’s really important too. I think it’s really important the same way that we do with nutrition. That we don’t become dogmatic, that just because something is great, doesn’t mean it’s the only way and doesn’t mean it’s the best way all the time for everyone. Yeah. Fair. What box do you train on in San Fran? Isn’t that the home of crossfit? [00:58:00] I don’t train at a gym here right now. I’ve been training completely on my own since I got here. I go in and out of the desire to train in a group setting. I got here and I was like I just have my schedule, I feel like trying to find a way of training that just works for me because it just didn’t feel like … For the last couple of years, dealing with book writing and stress, I would show up to crossfit. I would constantly modify what the workout was, which is fine. I think everybody needs to understand that you have to know yourself because you’re the only one who will better than the coaches, even. That also comes with being a developed athlete. People who are brand new aren’t going to know what’s going on. Is that metabolic conditioning too intense for me today? I just was at a point where I just wanted to do my own thing. If I’m in that place, I go with it because sometimes it’s not there. Sometimes I just don’t have the motivation on my own. Right now, I do. I’m training just by myself. I got my ear buds and some music and lift some things and tap down. We got a couple of questions left to tie it up. We ask everyone on the show. First one is, what are your non-negotiable practices? [01:00:00] I’m trying to think how I could really frame that. I don’t do things I don’t want to do. That’s just me as a personality, whether that’s life or nutrition or training or scheduling interviews. If I don’t want to do it, I just don’t do it, I would say 98% of the time. I never want to edit a book but I want to write a book and I wanted to get out. At my core, I want to do it. Yeah. That’s a non-negotiable. I just don’t see a reason to do things for the sake of pleasing other people because I just think you’re completely inauthentic when you do that. You’re not showing up as yourself. Eventually, it does not go well. Eventually, it does not go well. I think so. Saying no can be really really difficult in a lot of instances, very difficult. You find yourself being thrown into all manner of circumstances you don’t want to be in. It’s great. Funny enough, I was just only listening to Tim Ferriss’ podcast the other day. He was talking about that thing. He has learned to say no a lot. Diane: You should see the e-mails that come through. My assistant parses through everything. She’ll send me a quick list every week or whatever with 10 to 20 things that have come up that she wasn’t sure what to say. There is one yes for nine no’s every time, yeah. Well, then I must say, we’re very honored to have you on our podcast. We just got through. Yeah. Right. Cool. Our last question, what’s the best piece of advice you’ve ever been given? I think the part that … It sounds cliché but I think the part that’s missing that I now understand is because you’re going to anyway … My mom would say, “Do whatever makes you happy, Diane.” I think the undertone there was because you’re going to anyway, so I’m not even going to try and tell you to do something else. That’s part of my nature, part of my personality. She did always say that. Do what makes you happy because every time I wanted to quit a job I hated, it was like, “Well, what are you going to do? Just stay in this job and be miserable everyday or do something else.” Yeah. For everyone listening to this and they want to find out more, Diane, where is the best website to point them to? Balancedbites.com, B-A-L-A-N-C-E-D, Bites, B-I-T-E-S .com. Yeah. You can find out everything. Yeah, and the book is out September the 6th? Amazing. Well, thank you so much for coming on. We have a link to all this, [shown notes 01:03:23] so everyone can access this. Very much appreciated. That was awesome. Thanks. We’ll let you know as well. We’ll share this with everybody that we know and tell the world. Again, thanks for your time, really appreciate it. Glad we snuck in, didn’t get a no. Look forward to phase two of the book.